If you are interested in finding the ideal mortgage fraud investigations service, you have to take your time and make sure that you know what you are looking for. It is a good idea to make sure that you can find the ideal investigative services for the occasion. Following are some tips to help you do just that. Are you trying to find a company that can perform the mortgage fraud investigations while also being able to do background checks on brokers or real estate agents? You want to be sure that you can find the services that will provide you with all of the things that you need. One thing you want to not have to do is to hire one person for your mortgage fraud investigation and then have another person performing the asset protection and foreclosed property protection. This can get to be very confusing very quickly. Instead, find the services that can provide the investigation of mortgage fraud and also the other services. There are many things that you want to do when you are going to hire a mortgage fraud investigations service. If you have a specific deadline, such as a court date, then be sure that you are taking the time necessary to be able to do this. You will want to tell the investigator that you have this timeline so that they can give you an honest answer of what to expect. There are some things such as employment verification that can be done faster than other types of services. You will see that the right professional can work with real estate agencies and title companies to figure out what you need to know. It is also good to be aware of your budget if you are on a relatively tight one. If money is not an issue for you, then you will not have to worry. If the budget is tight, then just get clear answers from the various investigative service agencies so that you can be sure that you can afford them. The main thing to do is to make sure that you are only using a legitimate company for your mortgage fraud investigations. This is a rather obvious thing to do, but some people are in such a rush they do not think about it. Always be sure that you are hiring legitimate services, especially when using the computer and Internet. You can see that finding the very best company to do your mortgage fraud investigations is not very hard as long as you know what to look for. 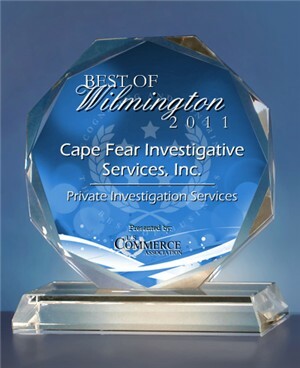 Cape Fear Investigative Services can help with your mortgage fraud investigation. Call us at (910) 762-4374 for more information and to set up a meeting.